A Northwoods Resort vacation is really living! 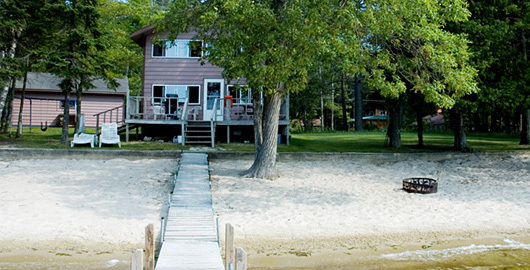 Northwoods Resort is the only resort located on the sandy north-shore of Au Train Lake. 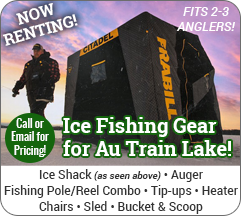 Au Train, Michigan, is well-known for being an outdoor enthusiast’s 4-season vacation destination. The resort is the perfect home base to adventure Au Train and the Pictured Rocks National Lakeshore. The resort has been family run and operated for 3 generations. From our family to yours, we welcome you to Northwoods Resort, where we continue the tradition of providing the best vacation opportunities for the entire family – children, parents, and grandparents alike. Just a short drive east along Lake Superior on M-28 East is the town of Munising, home to the Pictured Rocks National Lakeshore, Grand Island National Recreation Area, and the Hiawatha National Forest. Here you’ll find an extensive trail system for hiking, cross-country skiing and snowmobiling. Marquette, home to Northern Michigan University, is a 45-minute drive on M-28 West, and offers restaurants, shopping, museums, and a variety of attractions. Balancing nostalgia and up-to-date amenities, Northwoods Resort is the perfect get-away to renew family relationships or enjoy a private respite of relaxation and solitude. You’ll see why folks have been returning for years, making Northwoods Resort a family tradition for generations.